As a member of the community that is Ely, I understand how important it is to offer a service to our community. I am exhilarated at the possibilities of helping the people of Ely achieve their goals through technology, and for the opportunity to get to know our community better. Whether you are running your own business, want to observe wildlife, or have your own pet projects, I can help ensure that technology helps you achieve your goals. I am honored to provide this service to the community. My career started early. 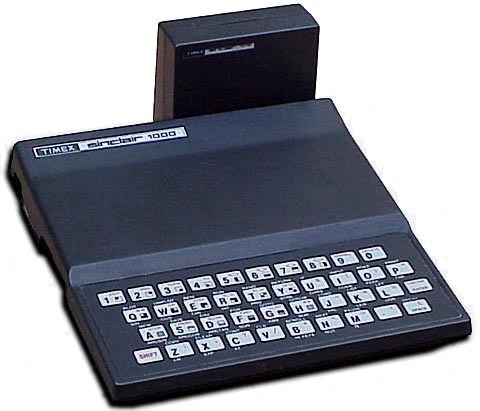 My father bought us a Timex Sinclair 1000 when I was still in grade school. I can remember typing in BASIC programs from computer magazine listings, and soon a lifelong fascination with technology was born. Thanks to a wonderful teacher in High School, myself and a handful of peers learned to program. Many of us went on to lead impressive careers in technology. A couple of us started our own software firm and went on to develop successful software for the health care industry. I attended college at the University of Arizona where I worked with Optical Scientists and Astronomers as part of a team developing world-renowned observatories. Not satisfied with a traditional degree, I went on to get a degree in the fields of Computer Science, Mathematics, and Philosophy, with a focus on Artificial Intelligence. Over the years I have worked with small startups to Fortune 50 corporations. In 2000 I found myself in Silicon Valley working on strong encryption with Phil Zimmerman the creator of Pretty Good Privacy (PGP). Then the dot-com bubble burst. Being thrown off the roller coaster of the 90s dot-com craze gave me time to reflect on the direction of my life and what was important to me. I threw myself into my other lifelong passion, wilderness. That journey brought me to beautiful Ely Minnesota and its more than two million acres of protected wilderness. Here I worked as an outfitter, met my beautiful wife, and put down roots. Then I was contacted about the intriguing opportunity to work with wild black bears, utilizing technology to help understand them better. It was a challenging project that melded my passions of wilderness and technology. A project which met a high profile political end. In every end there is a new beginning, and I am very excited to start and grow a new business here in Ely where the possibilities are thrilling.